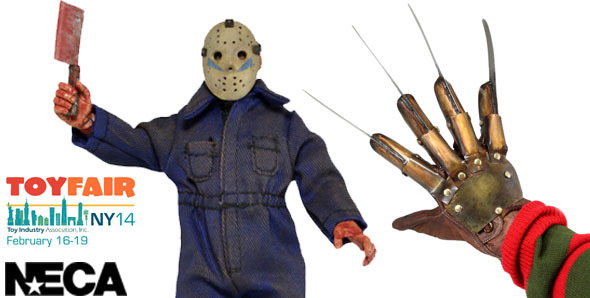 TOY FAIR: New Friday the 13th and Nightmare on Elm Street Releases Revealed! You are here: NECAOnline.com » Licenses » Movies » Friday The 13th » TOY FAIR: New Friday the 13th and Nightmare on Elm Street Releases Revealed! It’s a horror first for horror fans! And a treat for old-school fans as well! Our line of retro clothed action figures will be home to the first ever figure of “Jason” (aka Roy) from Friday the 13th Part 5, and to celebrate the occasion, we’ve even commissioned custom artwork for the packaging. And since one good horror release deserves another, behold the first image of our new prop replica glove for A Nightmare on Elm Street: Dream Warriors! It’ll arrive later this summer, in plenty of time for that Halloween costume you’ve been dying to put together. Pictures and more info below! 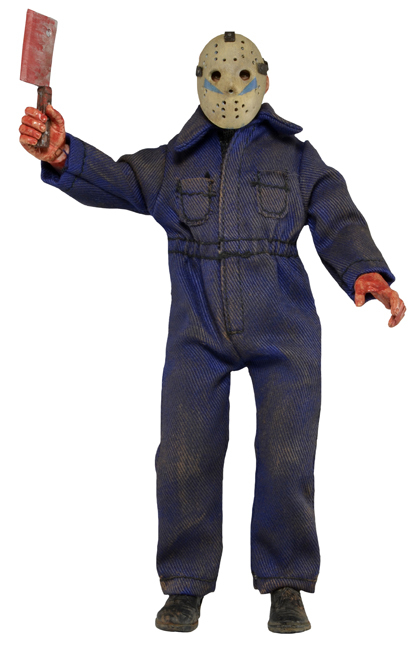 For the first time ever, the impostor Jason (aka Roy) from Friday the 13th Part 5 comes to action figure form! He stands 8″ tall and is dressed in tailored fabric clothing similar to the retro toy lines that helped define the licensed action figure market in the 1970s. Jason/Roy comes with movie accurate accessories, including cleaver, clippers, and hunting knife, plus a removable mask with the blue chevrons that were unique to Part 5. As a special bonus, the packaging features custom artwork created just for this release! 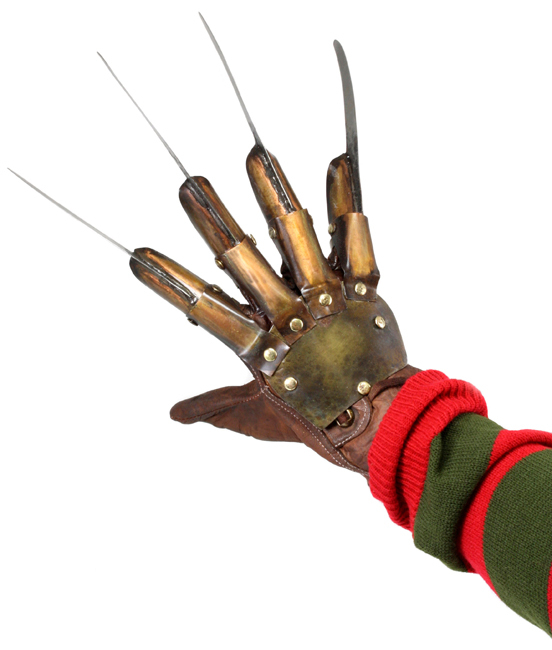 Own a perfect replica of Freddy’s glove from Nightmare on Elm Street 3: Dream Warriors! Each hand-crafted piece is formed of a distressed leather-like glove with riveted metal attachments. Includes a mannequin hand form for display when you’re not wearing it. There’s more to come from Toy Fair 2014!